Simplilearn LSSBB (Lean Six Sigma Black Belt) training is very well structured and provides a comprehensive and detailed walk through all the topics. Simplilearn Trainer is very knowledgeable and provides a lot of real time and practical (industry related) examples. He is very Strong in the subject.Simplilearn Coordinators were excellent all through the workshop. They coordinated and provided all requirements immediately. Simplilearn is a great platform for individuals seeking new certifications in the most important and relevant courses of the day. Not only is the subject matter excellent and faculty the best in class but the help and support offered by the team behind Simplilearn are just superb. They are considerate and responsive which is something of a premium compared to similar service providing platforms. There are a wide variety of courses on the offer and the course content is good too specially the online classes where you can attend to clarify your doubts with instructors which are flexible. I have enrolled for Lean Six Sigma Black Belt certification from Simplilearn and the course content is good. 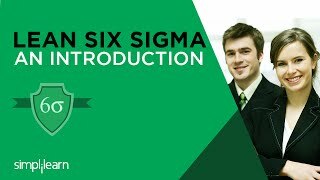 The training, technology, and course content of Lean Six Sigma Black Belt is just great.